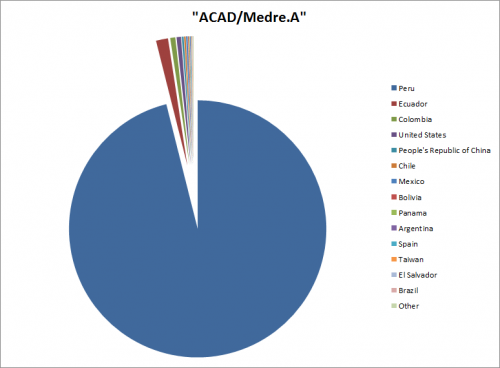 CAD/Medre.A, a worm that steals AutoCAD drawings and sends them to remote servers, was recently discovered infecting a great number of computers in Peru and some other Latin American countries. As worrying as the malware may be, its geographically confined blast likely implies that not many people have heard or are concerned about it. Still, those who have and are looking for tools to remove it could be in for some other nasty surprises, as ESET researchers have unearthed a website apparently providing one such tool. Considering the number of lies a false information, the tool they provide does nothing about the worm, but instead installs other files that are unneeded. The tool purports to be Spyware Doctor, by a legitimate company PC Tools, but it’s nothing of the sort. The downloaded executable installs three files on the computer:FixNCR.reg, “SpyHunter-Installer.exe, and SpeedyPC Pro Installer.exe. The first one claims to delete the registry entries altered by ACAD/Medre.A, but simply does deletes other, harmless registry entries. The second executable is said to detect the worm on an infected systems. Not surprisingly, this tool also doesn’t work as advertised. 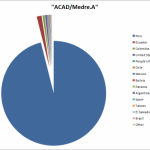 The third dropped executable seems to be doing a good job, as it detects all of 63 different malware installed on the system – including the aforementioned SpyHunter – but not ACAD/Medre.A. The user is urged to buy the solution that will get rid of all this malware – a solution that will cost them $119 per year.